Learn what separates graph databases from NoSQL data stores and how they work with other technologies. In this podcast, the marketing manager for IBM Graph shares her expert perspective. In this webcast, learn how you can get started with IBM Graph to analyze your data. In this blogpost, learn how to use a graph database to explore relationships through IBM Graph. Learn how businesses today are using (or planning to use) graph databases to address complex challenges. 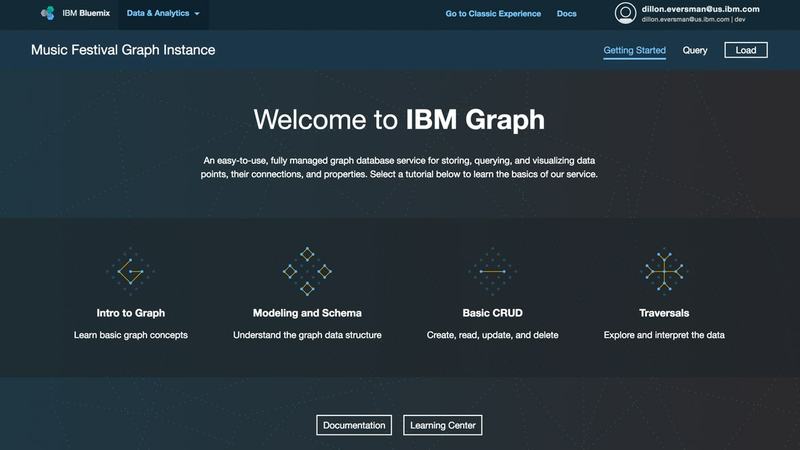 Watch this overview of IBM Graph and learn more about the leading enterprise-grade, distributed property graph-as-a-service. Learn why developers are using IBM Graph database technology to address common challenges encountered during development.